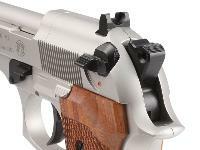 Read and see more about the Beretta 92FS in Dennis Adler's latest Airgun Experience Blog. Precise, Safe, Reliable. Each features a lightweight, forged frame made from aircraft-quality aluminum alloy. 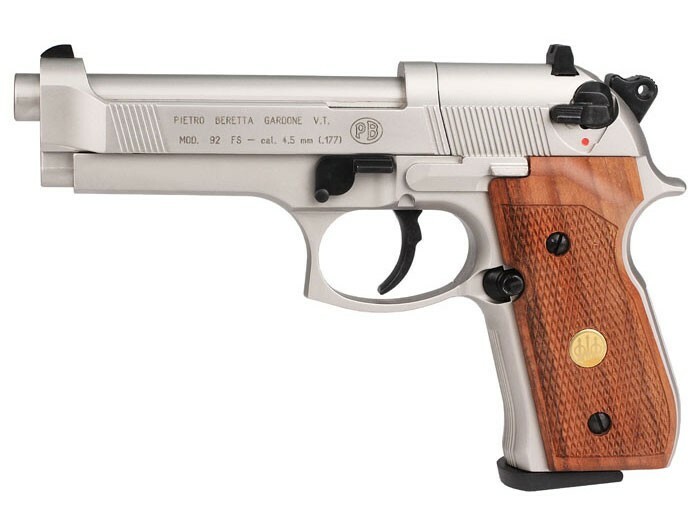 All 92-series pistols feature unique safety refinements. Things I liked: This is my second co2 gun. Took some courses at Sig Sauer academy and picked up the Sig P320 replica for practice at home. The 92FS blows the doors off the P320. Much more accurate, more powerful and solid. Yes, the P320 mag holds 30, but doesn't fire them all and its more cumbersome to load. 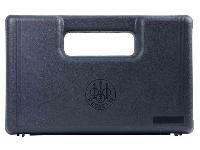 8 shots at a time is perfect and reloading is easy (however, there is no denying that slapping the mag into the P320 is closer to the real experience). The main thing is the accuracy. Right out of the box, I was getting really tight groups effortlessly. Well worth the price. Things I would have changed: Nothing. This gun is what it hits: bullseye. What others should know: For beginners investing in this, do your homework. Learn how to clean and maintain. Above all else, learn proper procedures for safe handling right away, before any bad habits develop. As said countless times elsewhere, these are not toys. 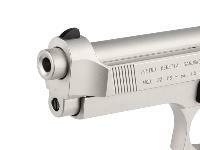 Things I liked: Nice Pistol. Accurate Pattern (3") at 25 Feet. Things I would have changed: More velocity. Things I liked: Authentic looking replica, feels really good in your hands (as long as you do not have small hands). 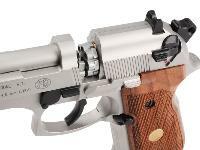 Very easy to operate and especially like the push button handle opening. The sight picture between the front and real sights are very good, offering a clear sight picture (even to these old eyes!) This seems to be very accurate, probably more accurate than I can shoot. I can get 1/2-1 inch groupings at 21 feet on a rest. Seems a little loud, but that's ok (as I am shooting indoors-down a hallway-when I am alone in the house). Did I say that this gun looks great! Things I would have changed: This seems a little heavy, but that is ok with me. One of the little gold medallions in one of the handles fell out upon opening the box and inspecting the gun. No problem, just got a little super glue and everything is fine. What others should know: Had to make a little sight adjustment (left I think) but the weapon shoot really good out of the box. 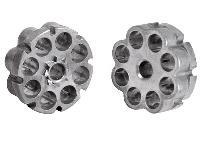 I am shooting Crossman Premier 7.9 gram Hollow point pellets and they seem to work just fine. This is the only pellet that I've tried. 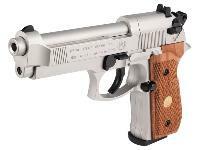 If you are looking for a non-blow back pistol, you've got to consider this at or near the top of your list. 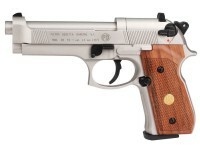 Is this 92FS a full metal frame pistol? 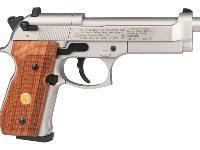 Can you get replacement wood grips for this pistol? 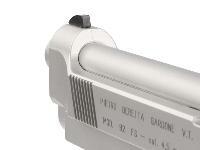 And do you know if they will also fit the Walther CP88? On P.A. 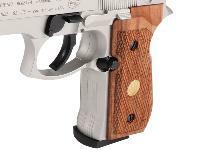 'S website # Walther CP88 Wood Grips... @ 84.99 . Yes they will.